Masonry is an integral part of every landscaping project. It is used to build outdoor features in the garden or yard. In fact, masonry elements are one of the first things to be installed in any landscape job. 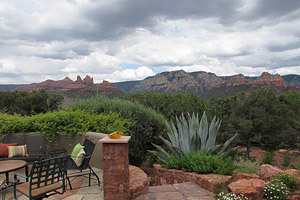 Landscape Magic has handled a significant number of masonry installation projects for property owners across a large part of Verde Valley, Flagstaff, Lake Montezuma and Munds Park. Tiling is a versatile material and can be used in flooring and walls. It’s available in a variety of colors and styling and in different textures too. You can opt for skid –free tiles in outdoor spaces and these features can be used for curbing as well as edging the lawns and flower bed spaces. There is no doubt about the fact that masonry features are a part and parcel of any landscaping project. We have been operating in this space since 2004 and have created a very strong customer base in the region. Our customers know that we use the best materials and workmanship to ensure that these outdoor features last long and stay looking good for a number of years. You can use this web form to send us your queries about masonry installation costs. You can also speak with the Landscape Magic experts at 928-284-9314 and tell us what your requirements are. We handle end-to-end landscaping projects including landscaping and property maintenance, construction of retaining walls and installation of pavers and water features too.